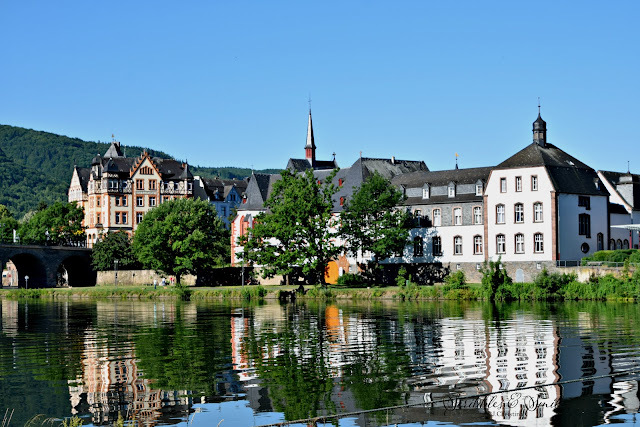 Bernkastel-Kues is an attractive little twin town in the Moselle Valley, halfway between Cochem and Trier, Germany. In the early 20th century, Bernkastel on the right bank was merged with Kues on the left bank along the Moselle River. Our river ship, the River Queen set sail from Trier, on Sunday June 18, 2017, at 1:00p.m. and arrived in Bernkastel, Germany at 9:00p.m. and will remain in port overnight. We began Monday, June 19, 2017, with a village walking tour. Our guide, Marita is the daughter of a winemaker and she lives in the town of Kues, which is directly across the Moselle River from Bernkastel. She points out the old Roman fortress on top of a hill, overlooking both Bernkastel and Kues. The half-timbered Spitzhausche - the town's most photographed building, was built in 1416. Its ground floor is much narrower than the upper floors, which gives it a wobbly look. 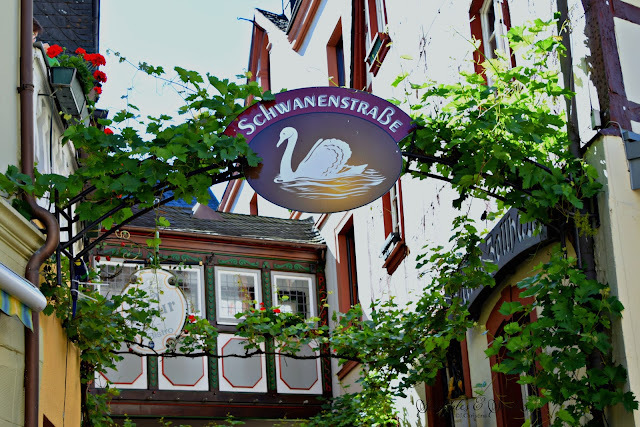 There are many medieval and historical things to see and know about Bernkastel-Kues, but the most important is the renowned Moselle wine region and the most labor intensive steep vineyards in the world. Bernkastel has the steepest sloping vineyards in the Mosel’s winegrowing, with a nearly 50% grade. It’s also prized for its “Bernkasteler Lay” soil; a slate and blue shale mixture that’s heavier than the soil dominating the surrounding areas. The region’s Bernkasteler Doktor vineyard, is so named because a sip of its Riesling supposedly cured the Archbishop of Trier from a life-threatening illness in the 13th century. And it is often considered to be the greatest vineyard in Germany. The vineyards are so steep that the vineyard workers operate a wired trolley system to transport grapes at harvest. 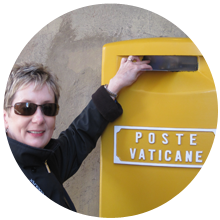 Continue to travel with J. Christina as we set sail for Boppard and Rüdesheim,Germany this afternoon.